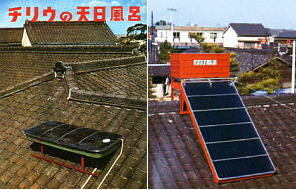 News: "the History of Japanese solar heater and Chiryu Heater" in "SUN & WIND　ENERGY"
Welcome to Chiryu Heater web site. 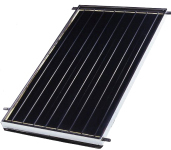 Chiryu Heater Co., Ltd. is one of the leading manufacturers an solar energy industry, and the most experienced solar water heater in Japan. Why we suggest solar thermal? Under 1 kW/m2 solar irradiation, when the temperature of Photo cell or Solar collector is equal to ambient air temperature, Efficiency of the Solar cell is about 10-13% while Efficiency of Solar collector is about 70%. Copyright(c) CHIRYU-HEATER All Rights Reserved.